There is documentary evidence that a a game or skill building exercise, involving kicking a ball into a small net, was used by the Chinese military during the Han Dynasty – around the 2nd and 3rd centuries BC. Earlier evidence – of a field marked out to play a ball-kicking game has been found at Kyoto, in Japan. Both the Greeks and ancient Romans played a soccer-type game which resembled modern soccer – although in this early version, teams could consist of up to 27 players! It is impossible to say accurately where and when soccer started – but it is reasonable to assume that some type of ball game – from which the organised sport we know today developed – has been played somewhere on the planet for over 3000 years. Britain is the undisputed birthplace of modern soccer/association football. Scotland and England being co-founders of the organised game. Football – as soccer is called in Britain was a popular sport of the masses from the 8th century onwards. But this game was a war game! There is a story which places the first football game in the east of England – where the locals played ‘football’ with the severed head of a Danish Prince they had defeated in battle! In medieval times, towns and villages played against rival towns and villages – and kicking, punching, biting and gouging were allowed. The object of the game was to move the ball to an agreed spot which had been marked out before play commenced. Hundreds of people took part and games could last all day. So violent did these matches become that many attempts were made by the authorities to ban soccer. In England, King Edward III passed laws in 1331 to try and suppress football. In Scotland, King James 1, in 1424, proclaimed in Parliament, “That na man play at the Fute-ball” (No man shall play football/soccer). But no law could stop the game in Britain. In 1815, the famous English School, Eton College, established a set of rules which other schools, colleges and Universities began to use. Later, these were standardised and a version, known as the Cambridge Rules, was adopted by most of England’s Universities and Colleges in 1848. But now, football was divided into two separate camps. Some colleges and schools preferred to follow rules drawn up by Rugby School – rules which permitted tripping, shin-kicking and carrying the ball – all forbidden by the Cambridge rules. On 26 October 1863, eleven London clubs and schools sent their representatives to a meeting in the Freemason’s Tavern to establish a single set of fundamental rules to govern the matches played amongst them. This meeting created The Football Association. The supporters of the Rugby School rules walked out – and on 8 December 1863, Association Football and Rugby Football finally split. 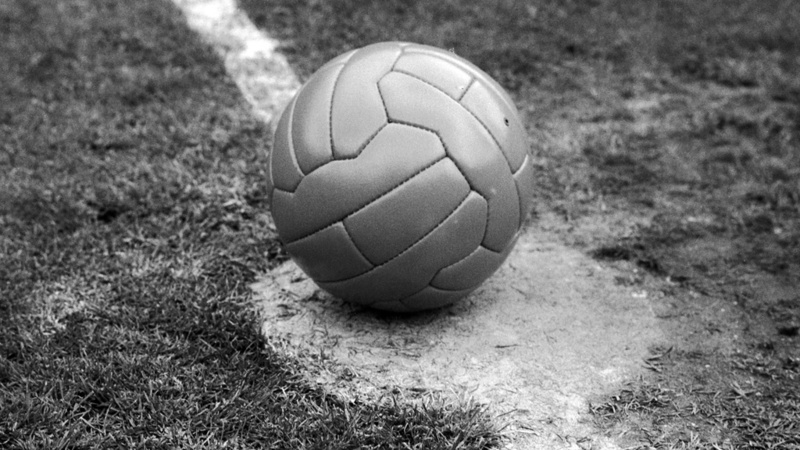 In 1869 The Football Association included in their rules a provision which forbade any handling of the ball – so establishing the foundation on which the modern game stands.